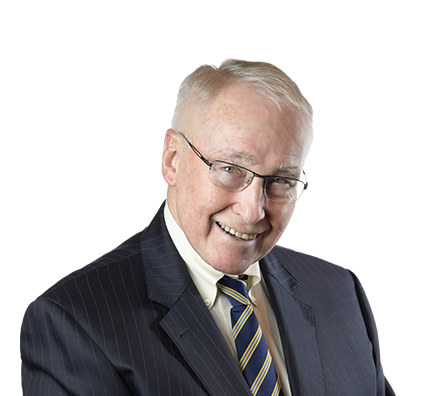 For more than 30 years, Fred has advised public and private corporations on a variety of business-related issues. He counsels on organizational and structural matters, strategic issues, mergers and acquisitions, financing transactions, shareholder agreements, contracts, international transactions, executive compensation agreements and management labor relations. Fred currently concentrates his practice on serving as legal counsel to numerous client trusts and estates. He is the trustee or co-trustee for more than 30 clients. Before joining Husch Blackwell, Fred was Chairman Emeritus of Whyte Hirschboeck Dudek S.C and was Chairman from 1984 to 2002. He also has served as a director for several privately held Wisconsin businesses. Counseling numerous client trusts and estates. Representing publicly and privately held companies in mergers, acquisitions and reorganization transactions ranging in size from several million dollars to several hundred million dollars. Advising businesses and preparing relevant documentation pertaining to the establishment of foreign subsidiaries, joint ventures, branch office and manufacturing facilities, distributorships and sales representation agreements. Provided strategic planning and advice for more than 40 years to several Wisconsin-based corporations. Provided extensive legal counsel to Marine Corp. during its merger negotiations with Banc One Corp., now a part of JPMorgan Chase. Counseled several food manufacturing companies and a major dietary supplement manufacturer for many years. The legal representation has included responding to FDA and Department of Agriculture inspections and enforcement procedures, product recall issues, labeling matters and dietary supplement regulation. Represented publicly and privately held companies in mergers, acquisitions and reorganization transactions ranging in size from several million dollars to several billion dollars. Counseled businesses and prepared relevant documentation pertaining to the establishment of foreign subsidiaries, joint ventures, branch office and manufacturing facilities, distributorships and sales representation agreements. Traveled extensively throughout Europe, establishing relevant contacts with leading legal and accounting firms, with which he maintained regular contact in connection with pending transactions involving clients. Coordinated the work of teams of attorneys from various disciplines, including corporate, finance, securities, tax, real estate, litigation, employee benefits, labor and intellectual property. Advised owners of closely held businesses in connection with ownership succession planning, stock-based management compensation arrangements and similar corporate structuring. Counseled management in labor contract negotiations, response to union organizational efforts, grievances and arbitrations, wrongful discharge actions, employment discrimination lawsuits, affirmative action issues and occupational safety and health matters.